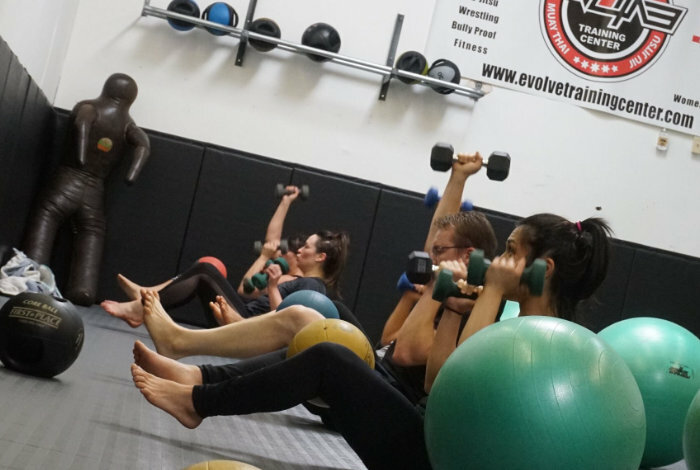 Here are a list of classes that are a great starting point as your start your journey here at Evolve. You don’t have to have a background in any of these specialties. We meet you where you are. Try a week of free classes! START HERE, FIND YOUR RHYTHM, GO AT YOUR OWN PACE. We offer modification for the injured, progressions for anyone who want to increase their overall fitness level and strategies for those who want to go above and beyond. We partner with you so that we can support your goals. Brazilian Jiu-Jitsu (BJJ) is a martial art and combat sport that focuses on grappling and especially ground fighting. 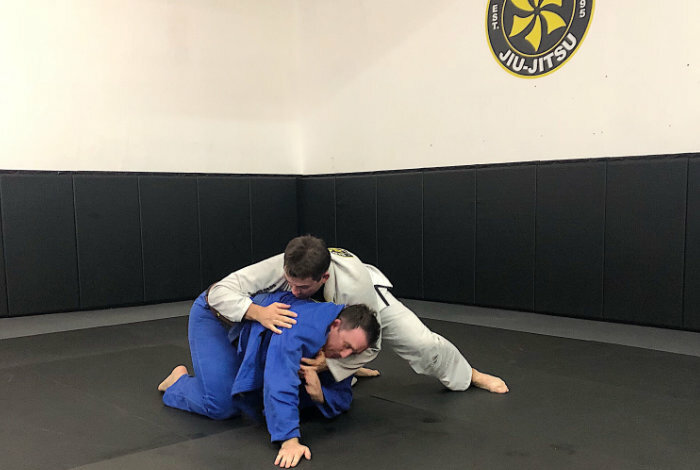 It promotes the principle that smaller, weaker person can successfully defend themselves against a bigger, stronger assailant using leverage and proper technique; applying joint-locks and chokeholds to defeat them. BJJ can be trained for self defense, sport grappling tournaments (gi and no-gi) and mixed martial arts (MMA) competition. 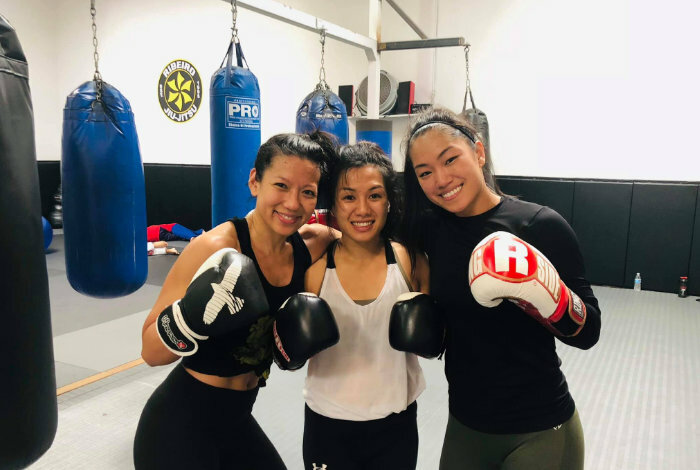 Sparring (commonly referred to as ‘rolling’) and live drilling play a major role in training, and a premium is placed on performance, especially in competition. Beginning each class with a light warm up including jump rope, footwork drills and strides, and art specific movements, students get their body temperature up and activate their muscles. This ensures better muscle activation, and significantly reduces the risk of injury or inflammation. 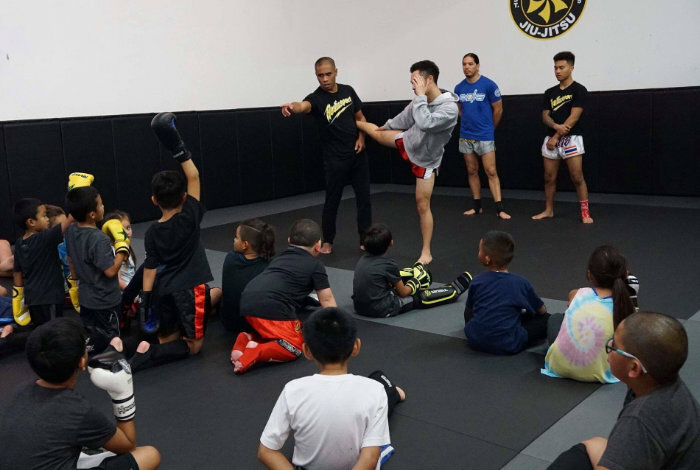 Coach will then show and explain the concept and lesson for the day and get students going with with fun and safe bag work, pad work, or partner drills. We believe learning the art is just as important as performing the art, and thus, each student can perform at his/her level and intensity. Class ends with a cool down or “finisher” to facilitate recovery for yet another day of training. So whether you’re into training for self-defense, fitness or sport, you can find your place with us on the mat! Train like the pros without the blows. 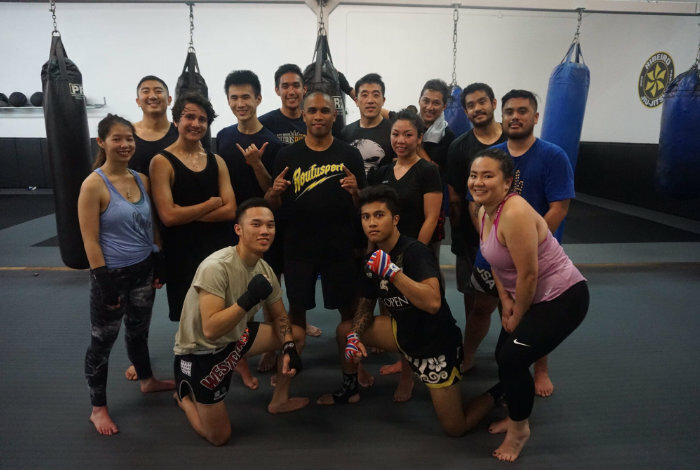 Heavy bag work, footwork, calisthenics and conditioning drills are all a part of this fun and intense class. Coach will explain all drills as a boxing coach would, through proper technique and an affinity to fun and learning. Prepare to get your heart rate up, burn calories, condition yourself and learn the beautiful art of boxing from highly qualified instructors. Fit Camp-Functional training is teaching your body to do specific functions that we encounter in every day life such as: carrying children, lifting heavy boxes, bending over to pick up items in way that strengthens our muscles. After strengthening those muscles, we minimize our risk of long-term injury. With bullying at an all-time high, causing roughly 3 million children to miss school on a monthly basis, we present our kids self-defense / bully proofing class. Designed to instill confidence to face and overcome their bullies and the discipline to not become one themselves we will to teach your children how to use their words and body language to deescalate problems as well as nonviolent self-defense techniques to stay safe should they be attacked physically. Our curriculum contains no punching or kicking techniques as we would like for our students to learn to protect themselves without causing unnecessary harm to another. Our coaching staff tries to work hand-in-hand with the parents to ensure that our kids are conducting themselves accordingly at home and in their day-to-day lives as we don’t want them to just be champions on the mats but champions in life as well with respect, discipline, loyalty, honor and dedication as core principles is all lessons.